Available at Nykaa, Flipkart, Snapdeal, etc as well as at offline stores. Combines amazing comfort with staying power that keeps you looking fresh for hours. With a long-wearing comfort technology. Offers a creamy color with Colorfix technology. Ensures 10 hours of intense crème color. Firstly let’s talk about the packaging. 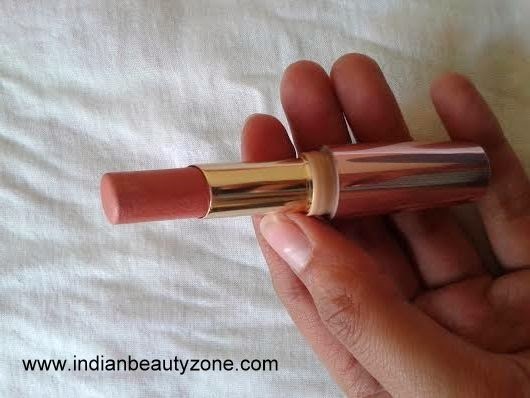 Kudos to the Lakme team for coming up with this classy rose gold packaging. It looks so elegant. The cap shuts tightly, a little too tightly I feel... but that just makes it perfect for travelling in your handbag. many shades from this range it’s nearly impossible to pick the one you want. I face this issue you every time. The shade beige post is a pale peachy color with shimmers. It looks like a pretty warm shade if you just look at the bullet but on swatching you will realize it doesn't have much pigmentation and the shimmers are way too obvious. I made a blunder ordering it online without checking swatches. This shade will suit only fair or cool toned skin tones. The pigmentation is not so great one swipe isn't enough to add color to your lips. And if you layer it looks like you are wearing shimmer on your lips. Looks pretty bad for an everyday shade that I thought it would be. It will definitely not work for those who have pigmented lips. 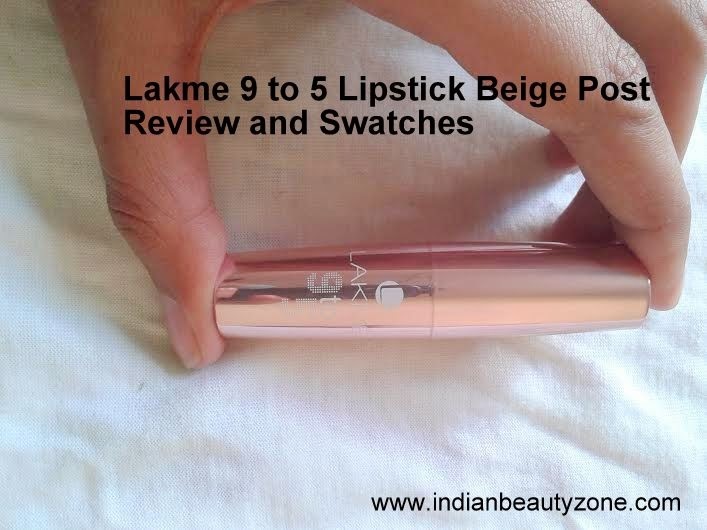 My experience with the other Lakme 9 to 5 lipsticks was pretty good in terms of texture but this one is a bummer in this department as well. The texture is not at all smooth. You need to tug and pull the lipstick so that it applies evenly. It doesn’t dry out my lips not does it keep them moisturized. The staying power is again not so great. It stays on for about 3-4 hours without any meals. It transfers slightly and does not settle into fine lines as well. 4. Wont suit Indian skin tone easily. 5. Not suitable for office wear. 6. Has a lot of shimmers. i feel so sad... so much money wasted! but at least you guys can benefit from it! 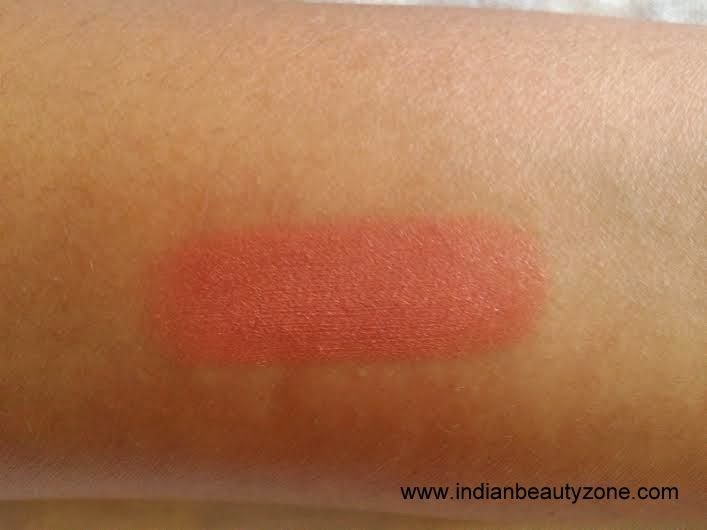 it wont work for pigmented lips at all... do try their brighter shades from this collection! Even i have slightly pigmented lips... so it doesnt work for me! 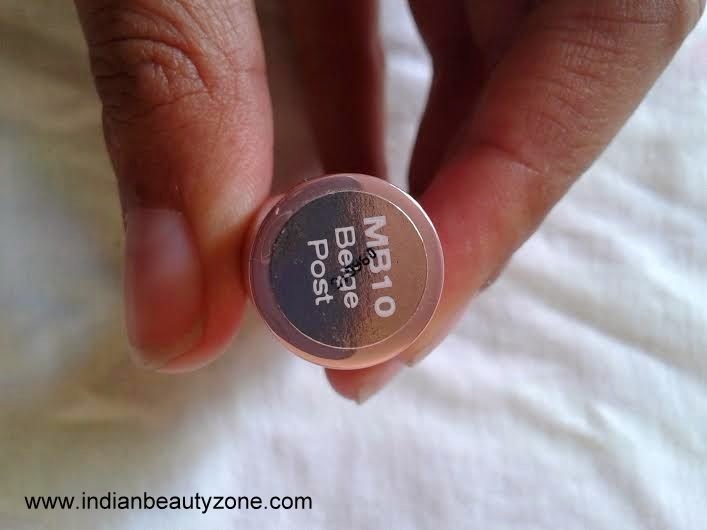 I have this shade too but it is not for Indian skin tones unless someone is really pale. 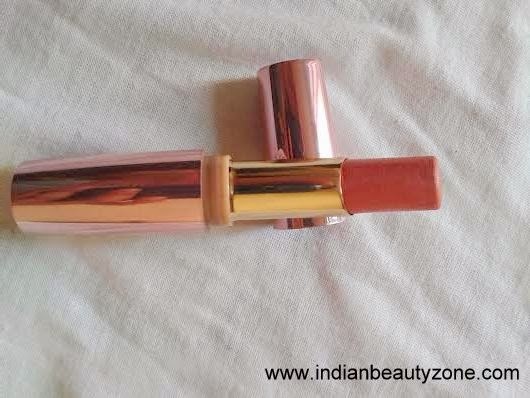 i agree this shade is not for indians! This is such a miss. Thanks for saving our money sweety!! I like the 9 to 5 range, however this won't work for me.. wish it was more pigmented.